Last month I reviewed the Music on Vinyl (MOV) release of the 1985 Transformers Movie soundtrack and mentioned at the time that I was attempting to get hold of the 30th Anniversary, Record Store Day 2015 (RSD15), edition. Well, it has arrived and I couldn’t be happier. The tracking of both albums are identical, but the mastering is slightly different as the MOV release is superior in fidelity when compared against this Sony/Legacy release. They were simply mastered by two different individuals and subsequently they were mastered for personal tastes. I should note that the MOV edition, that I prefer, was mastered by industry legend Bernie Grundman. That isn’t to say that the Maria Triana mastering at Battery Studios is a bad. In-fact, if I had not heard the MOV mastering, I would have have given this RSD15 release an excellent review based on sonic performance. The basic truth is when it comes to mastering, the individual mastering engineer is extremely important. If you look through the albums you like most, and even those you don’t, you will often see the same mastering engineers appear. I know I have come across this variant. From an artwork perspective, this edition is simply exquisite. This is certainly a record sleeve that you will need the floor or a table to view it on as it is a quad-panel release. My son was captivated as he kept opening and closing it to see the artwork because one mode presented the ‘good’ Autobots, while the other highlighted the evil ‘Decepticons’. It is simply an amazing design and layout and the etched vinyl really takes it to another level. It made for another wonderful father/son moment that will never be forgotten. This is why I choose vinyl, or any physical format in general, as it connects people in a way that can never be replicated by sharing a playlist. I ordered my copy from Goldmine Records and I believe Ben has a few more copies of this release, so you may be in luck with securing a copy. Don’t forget, you can also read my detailed review of the album and songs by clicking here. Diana Krall in synonymous with jazz, but in this latest endeavour she takes that elegantly smooth, but rustic, voice and applies it to some of the most iconic classic rock and pop songs in the music history. The renditions are absolutely beautiful and definitely rival those of the original performers. Despite being a fan of the jazz genre, I was oblivious to Krall until a couple of years ago when her album, The Look Of Love, was re-issued on the High Fidelity Pure Audio Blu-Ray format. To say that album is a masterpiece, is a gross understatement. In my opinion, it is the epitome of jazz in the modern era. Despite having this high-resolution version, of the album, I have just noticed that Original Recordings Group (ORG) has just re-issued the album in a limited, numbered, edition 45RPM pressing that I will have to order. ORG releases, such as the Dances With Wolves soundtrack, are incredibly well mastered and pressed. While they are expensive, they are highly sought-after by record collectors and their value increases significantly when out of print. While I don’t intend on ever selling my records, I look upon the hobby as an investment that can be passed onto my children. Yes, they are continually told how valuable these records are. Wallflower is spectacular and Krall manages to apply her own unique style, while remaining true to the originals that are so loved, and appreciated, by millions of listeners throughout the world. It is always difficult to listen to songs that have been re-interpreted when you know the original so well, but this album is not one to fear as you will be blown away by renditions that are, in many cases, superior to the originals. Yes, that is a bold statement, but despite being a massive fan of the Eagles, I have never heard Desperado and I Can’t Tell You Why, performed so magnificently. Truth be told, I could say the very same thing about every song on the album. All songs that is except for a Paul McCartney written, but never recorded, song called If I Take You Home Tonight. Honestly, the song is incredible. McCartney is a song writing prodigy, but with Krall’s vocal talent, the song goes to places that I don’t think McCartney could have even dreamt of. I’ve yet to pick up my own copy of this album, although I have added the vinyl release to my wish list. I have also added the CD of Wallflower: The Complete Sessions to the wish list as the live performances, and selections that didn’t make it to the 12-track vinyl release, are exceptional in their own right and deserve to be owned. Knowing my luck, the Verve Music Group will release an expanded vinyl edition just after I purchase the standard edition. For now, I will be content listening to Wallflower on TIDAL Hi-Fi. The mastering is exceptional and truly shows off not only how good the album is, but how good a non-lossy streaming service can be. Yes, there is a Mastered for iTunes version available via Apple Music and iTunes, but I haven’t felt compelled to listen via these methods, as the beforementioned service fulfills my needs for this album. It is also interesting to note that a SACD edition is available for those of you with compatible equipment. While I’m definitely a proponent of high-resolution audio formats, the mastering of this release is so perfect that I don’t feel a great improvement will be heard over the standard CD release. That said, most of Krall’s catalogue has been released on SACD over the years and recently there seems to have been a resurgence of the format. It won’t become mainstream, but I really appreciate that consumers have the ability to choose a format that best suits their requirements. Working with producer extraordinaire, David Foster, Krall has delivered an album that not only brings her musical direction to a mainstream audience, but showcases how very talented she is as a musician. You have to hear this album; it really is that good! The name’s Bond, James Bond! Finally, I found an excuse to use perhaps the most memorable one-liner from any film franchise. No, I’m not taking a look at a James Bond film, despite my appreciation of the series. I did however want to talk about the Original Motion Picture Soundtrack for the latest Bond film, SPECTRE. I came across the soundtrack in my local record store and having owned the Bond films, books, audiobooks, and video games, I realised that I had never once owned one of the Bond soundtracks. I also recently noticed some of the classic 007 series soundtracks had started to be re-issued on vinyl by Universal Music. Goldmine Records has them in stock, for those interested. I’ve promised myself that I will take a listen to these classics on TIDAL, prior to hopefully liking and purchasing on vinyl, but I’m not sure when I will get around to it as my ‘to listen to’ list is extensive. The newly released SPECTRE original soundtrack unfortunately only comes on CD, but it is such a beautiful sonic experience that I didn’t hesitate to add it to my purchase wish list. However, the cover art is incredible and really deserves to be presented on a vinyl canvas. 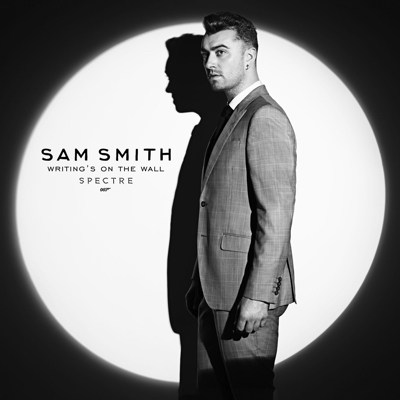 Unlike most other Bond soundtracks, this one lacks the vocal song, Writing’s On The Wall, by Sam Smith, that introduces the Bond film. Although there is an instrumental version on the album. This omission doesn’t bother me, but it would have been a nice addition to have the song as the final track. That said, as a CD release, the instrumental elements already max out the storage capacity offered by the Redbook CD format. If you are interested in the Sam Smith song, you can pick that up with the instrumental version of the track, on a 7-inch vinyl, CD single, or of course via iTunes, Apple Music, or TIDAL. While I must admit to not having seen the SPECTRE film yet, the soundtrack will certainly appeal to those of you who are interested in classical scores, with elements of traditional Bond themes thrown in for familiarity. Even if you have never seen a Bond film, you will be able to appreciate the artistry that Thomas Newman and the (uncredited) Orchestra bring to this album. The soundtrack is atmospheric, dynamic, and emotive. At the most basic level you will feel the music and become enveloped in an 80-minute epic that fails to disappoint on a single track. I have listened to the soundtrack on both headphones and speakers and the music was so captivating that neither time did I long for an alternative listening option. I’d strongly recommend you listen to this album via a non-lossy source, as the experience is profound. That said, if you don’t have access to the CD or TIDAL version, then the Mastered for iTunes version is available on Apple Music and the iTunes Store.